Lauren Oliver, the bestselling author of the Delirium series, returns with an explosive and unique sci-fi novel about crossing the line between science and humanity. Set in Florida, and told from the perspectives of a human and a genetic clone with mirror-inverted covers, one can read Lyra’s story first and then Gemma’s, or alternate between the two. With its original layout, Replica is an exciting and one-of-a-kind reading experience. Lyra, better known as #24, has lived in Haven all her life. She’s a replica—a clone, and all she knows about the world around her is that she was created by a scientist in a research facility. While growing up, a kind nurse gave her the name Lyra—but a name is all she has. One day, an explosion destroys Haven and Lyra escapes with a boy known as #72. In the midst of hiding away, she runs into a girl who calls herself Gemma. I really enjoyed the setting of Replica. Half of the story takes place at the institute, and Oliver describes the blank white walls, meager food and tests that are run on the clones. Haven is downright creepy, and its eeriness drew me in. I found that it was hard for me to put down the book, and I kept reading in hopes of discovering more about Haven. However, I was disappointed that not all of my questions were answered in this first novel. Although the secondary love story is a bit forced in Lyra’s perspective, Replica is masterful in the way that it explores the themes of individuality, humanity and free will. Both girls are trapped in their own prisons, with Lyra being a clone at the institute and Gemma with her overprotective parents. 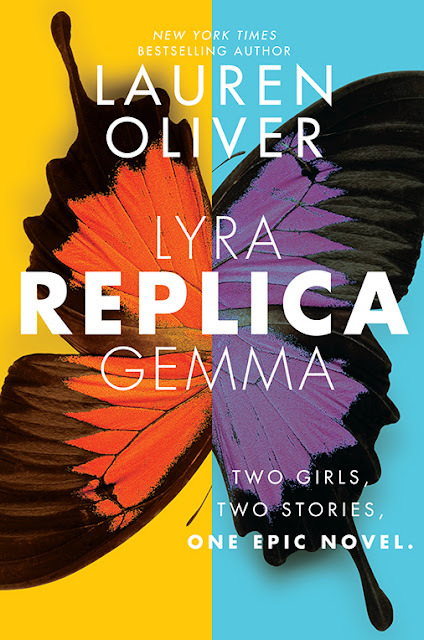 I started with Lyra’s side for no particular reason, but found that reading Lyra’s story first gave me insight on Gemma’s story that I would not have known without reading both perspectives. The theme of genetic cloning is a little overdone, but the story still felt original. There were plenty of twists that I didn’t see coming and I was pleasantly surprised by its fast pace. A mix between sci-fi and thriller, this quick and easy YA read is perfect for Halloween and the fall season.